Find Out Why Shraddha Kapoor Has Deleted All Her Posts On Instagram! Shraddha Kapoor is gearing up for her next flick opposite Rajkummar Rao. It is a horror film titled Stree which is based on a true story. The teaser that was unveiled about more than a month ago was spine-chilling AF! The teaser showed the camera passing through a quiet street with one line 'O Stree kal aana' written on every house wall. At the end of the teaser, a woman with disfigured feet is seen hanging midair. 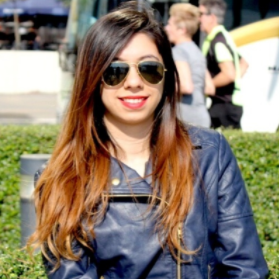 Helmed by Amar Kaushik, the film is about an urban legend called 'Nale Ba'. Legend has it that in the 1990s, the beautiful (now) city of Bengaluru was considered haunted. A witch used to roam the streets of the city and hunt for prey. Apparently, she would knock on doors at night, and call out to the people in the house in the voice of a loved one. Those who opened the door would die in the next 24 hours. As this news spread like wildfire, it scared the gut out of people. And then, a solution was found, 'Nale Ba.' This phrase that means 'come tomorrow' in Kannada, was written outside the houses to stave off the spirit. It was believed that the witch would read it and walk away. 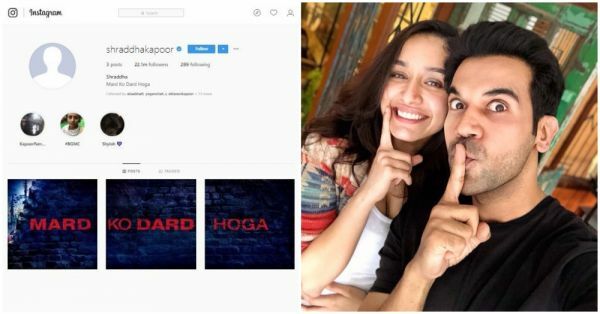 About two days ago, Shraddha sent her fans and followers into a frenzy when she deleted all her Instagram posts and removed her display picture. And not just Instagram but she removed all her display picture from Twitter too. Wondering why she did that? To promote Stree, which is based on this legend, Shraddha implemented this promotional strategy. She has only three posts on her feed that read 'Mard Ko Dard Hoga.' The film is supposed to be comedy horror genre and it feels like Shraddha's victims in the movie will be men! All of this is just doubling up our curiosity about the movie. The film is slated to hit theatres on Rajkummar Rao's birthday, August 31st, 2018.